South Korea’s President Park Geun-hye has found herself entangled amidst a political scandal after close aide and confidante Choi Soon-sil was arrested for allegedly meddling in the affairs of the government and exerting influence on the president who is in the fourth year of her presidency. The president only has over a year left in power, but the latest revelations into her relationship with Choi could permanently damage her political standing. 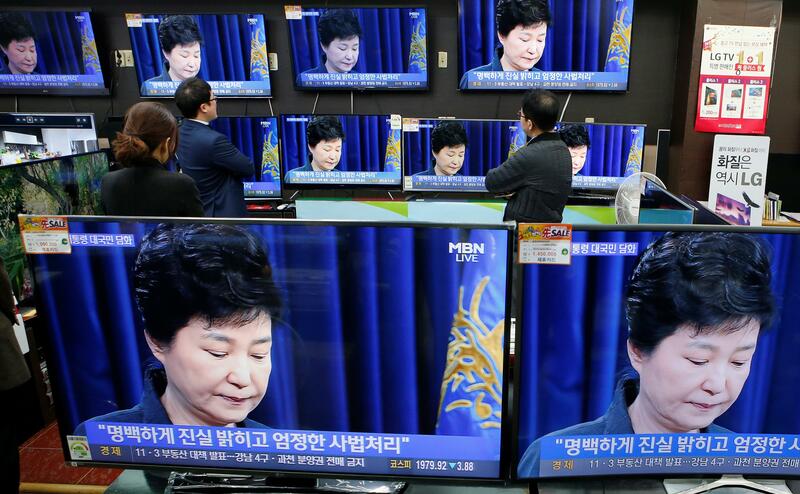 After the South Korean media sparked a massive outcry over Choi’s role in the 64-year-old president’s decision making, Park issued a brief apology last week. In addition to this, she has also said that she will allow a direct investigation of her role in the scandal if requried, the Associated Press reported. As the controversy unfolds, here are the facts to stay abreast of the latest developments in what could be South Korea’s biggest political scandal in recent times. Choi befriended Park after the latter’s father — Park Chung-hee — was assassinated in 1979. Rarely spotted making public appearances, Choi’s face was relatively unknown to the public before the scandal broke out. A close friend, Choi also reportedly acted as Park’s close spiritual adviser. Her former husband, Chung Yoon-hoi, had served as an aide to the president while Park was lawmaker. However, the scandal is rooted in allegations that Choi had an inordinate amount of influence on economic, foreign and defence policies adopted by Park. There are also allegations that Choi took home part of the $70 million she received from major South Korean companies for two of her foundations. According to spokesman Shin Jae-hwan, the Seoul central district court Thursday accepted a prosecutors’ request for a warrant for Choi’s arrest. He also added that Choi will be held in a detention centre till the court releases its verdict. What is the historical significance of this “special” relationship? While Park’s father was a military dictator who ruled South Korea for 18 years, Choi’s father, Choi Tae-min, led a religious cult. In the time after the assassination of the president’s parents, Choi’s father reportedly acted as a mentor for Park, establishing a long relation between the families. Is the president under investigation? Choi’s arrest has also led to the opposition demanding that authorities also investigate Park, whose approval ratings have taken a plunge — to 5 percent — in a recent opinion survey, Reuters reported. Park’s prime minister-designate Kim Byong-joon told reporters that it was possible for investigators to look into Park’s alleged role in the scandal despite her presidential immunity. However, he maintained that any investigation into the president must be carried out carefully. What has the president’s reaction been? 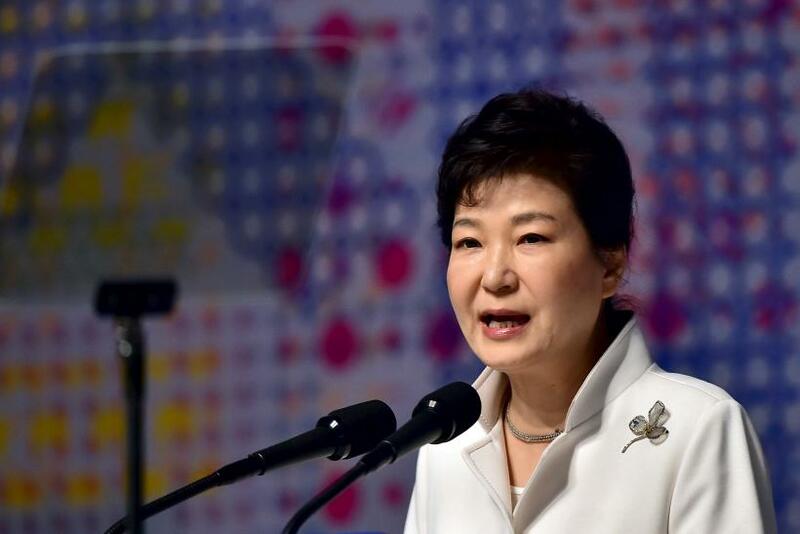 Park has acknowledged the fact that Choi had edited some of her speeches, along with helping her regarding public relations, but there was no mention of her aide having a role to play in larger government affairs. With Park’s own statement allowing a direct investigation, authorities may launch a probe into the president’s role soon. The president has also attempted to allay the vast dissent she is facing by restructuring her administration. Ten of her senior secretaries were asked to resign last week and on Wednesday she announced the appointment of a new prime minister and finance minister. How has the public reacted to the scandal? With thousands of protesters taking to the streets of Seoul and other major cities across the country, the voter response has been unsparing. The protesters have been demanding Park’s resignation with posters portraying her as a puppet in the hands of Choi. Coming to power on the promises of improving relations with North Korea and economic development, Park has been unable to deliver on her agenda, causing her approval ratings to fall drastically. This scandal may inflict permanent damage on the reputation of the president who has already served four turbulent years of her five year term.